By default, the Instagram app has an inbuilt option to connect the Facebook and other social media accounts. 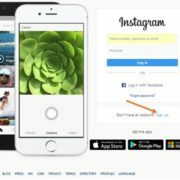 But in case you don’t have Instagram app access and want to connect the Facebook page to the Instagram account using the computer; then this tutorial is all about that. You can use the Instagram option resided on the Facebook page for doing this. 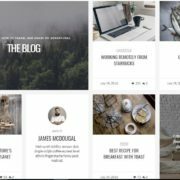 It not only enables you to directly share the image and videos posts from Instagram but also let you manage the advertisements. 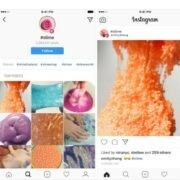 For example, if you created some ads about your product to run on Instagram but from Facebook. Admins and editors of your page can manage your Instagram account information right from the Facebook. Admins, editors, and moderators can read and respond to comments on your Instagram posts from your pages manager Inbox. Ads created on Facebook can also be used on Instagram. Step 1: Open the Facebook in your browser and log in to your account that used to create the FB page for business or personal use. Now go to settings on the Facebook page situated at the top-right corner of your page and click on Instagram. 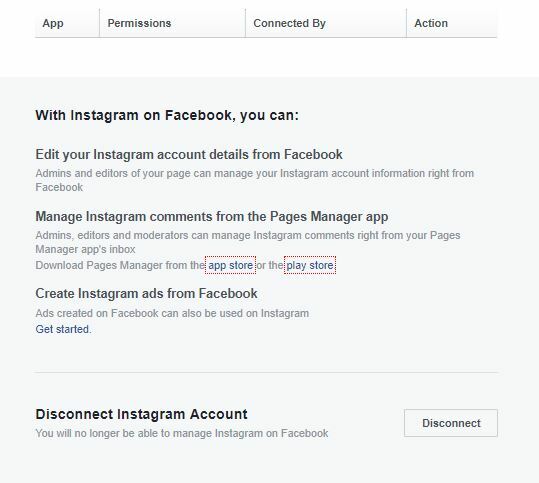 From the Manage Instagram on a Facebook page section that you will see on the right side after clicking on Instagram click on the Login button; that given at the front of the text Add your Instagram to get started which use to access the Instagram from the Facebook page. The Login into Instagram allows you to post from Facebook, manage communications and more. Step 2: After clicking on the Log in button in the above step, you will get a pop-up window to Log in to Instagram. If you yet not have an Instagram account; you can create that too from here by using the Signup. Step 3: Once you Login the Instagram you will get an option button Get Started. This lets you switch your Instagram to Busines profile in order to get insights, create promotions and add more ways for people to connect you. If you want to Disconnect the Instagram account from the Facebook Page in future; you just need to click again on the Instagram option under the Facebook Page and scroll down to extreme bottom; where you will find an option “Disconnect“, click on that and it will unlink the Facebook Page from Instagram. 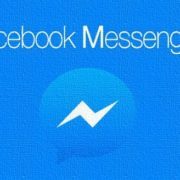 Facebook does away with “You are now connected on messenger” notifications.